You and your family deserve to be comfortable in your home all year round. During the winter, having a fully functional and reliable heater is an absolute priority. At Steele Mechanical, LLC Air Conditioning and Heating, our New Jersey heating installation contractors are here to assist you from the very beginning. With over twenty-five years of experience in the HVAC industry, our heating contractors have the knowledge and skills necessary to provide for all of your needs. When you need to install a new heater in your home or business, our professionals are the best team for the job. 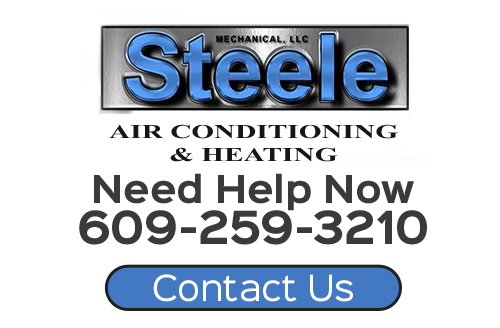 Call Steele Mechanical, LLC Air Conditioning and Heating today if you need to install a new heating system in your New Jersey home or business. Our professionals are here to assist you with every aspect of this project. We can answer any questions that you may have about your prospective heater or our exceptionally performed services. Our polite staff can schedule your appointment today. Every property has a different layout, and every family has differing comfort needs. Our New Jersey heating installation contractors seek to help provide the most customized system to account for these unique characteristics. We work with all conventional heaters including furnaces, boilers, and heat pumps. Therefore, we have the ability to help you install the new heater that will work best for you. When you hire us for your project, the first thing that we will do is inspect your property. Our heating contractors will then inquire as to your unique comfort needs. With this information, we can help you choose the heater that will provide you with the most efficient and reliable source of comfort for the long term. You can rely on us for furnace installation, boiler installation, heat pump installation and more. If you are constructing a new home or commercial property, you will need to design your entire heating system from the ground up. 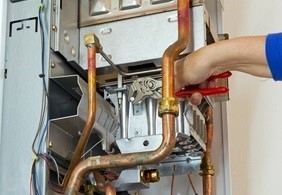 Our New Jersey heating services team can handle this extensive task. In every major HVAC renovation or construction project, our contractors seek to add long term value to the properties of our customers. We will work with you hand-in-hand at every stage of the effort. Along with helping you choose the best furnace, boiler, or heat pump, our technicians can assist you in designing and installing all necessary pipes and duct work. Together we can create a full property heating system that will provide for your needs in the best possible manner. Your heater will operate in the most efficient, effective, and reliable manner for the years to come. If you would like an estimate for heating installation in New Jersey, please call 609-259-3210 or complete our online request form.